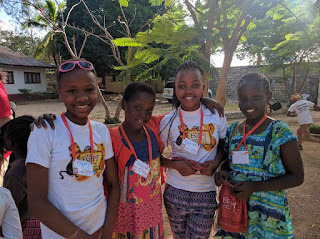 The VBS Kenya Trip has been a great success as the Teams both from Kenya literally gave everything to bless the over 90 kids that were in attendance this week. The Week was culminated in a great celebration service at the South Coast Community Church where Jerry Barton delivered a great sermon on the unity of the Body of Christ. Tomorrow (August 15th) the American Team heads back home after a hard but very rewarding week. I am sure as they look back at the week they will recall the harshness of the August Mombasa weather, the strange tasting foods and the challenging communication mainly because of accents and not language; BUT these challenges fade in comparison compared to the great joy of serving Jesus and sharing His joy, His word and His love with a community of Children and young people who were ready and eager to listen and participate in the daily activities that were shown at them. Please pray for safe travel from Ukunda to Dallas starting tomorrow…Pray that as the Lord blessed their coming in to Kenya that He will similarly bless their going back to America. Praise God for a great week of ministry and fruit that will out last their one week in Kenya…Our God is able! 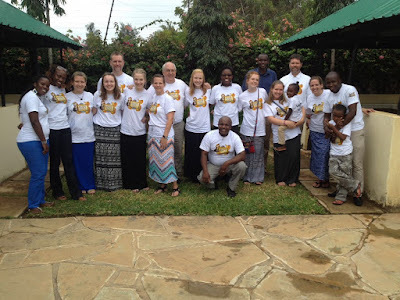 South Coast Community Church was indeed blessed to have this DBC team.